It happens almost every time. It happens when I’m teaching. It happens when I’m listening to a sermon. It happens in classes I’m in. When the Word of God is read people tune out. As soon as the speaker begins to speak or teach again they tune back in. I understand that people sometimes think the Bible is boring to read. Maybe that’s because they are genuinely not interested. But usually it’s because we think we’ve heard it all before. But there is always, always, always….so much more. What I find when I read and study God’s Word is that the more I look at it, the more I hunger over it, the more I realize how much deeper it goes. I could spend the rest of my life studying it and it will continue to speak to me in fresh ways. That’s what makes the Bible a LIVING literature! We hunger over each word of it (see past entry titled “Hagaaaahhhhh” for more on that). Today I’d like to share another of those “hagah” (hunger) moments I had recently. Last week while preparing to teach one of my freshman Story of Jesus classes at Lipscomb University I found something that I’d never seen. It may be totally “off” but I wanted to share a discovery from Luke 4 which I thought I was quite familiar with. It’s the story of Jesus going into His hometown synagogue in Nazareth. I love this story. 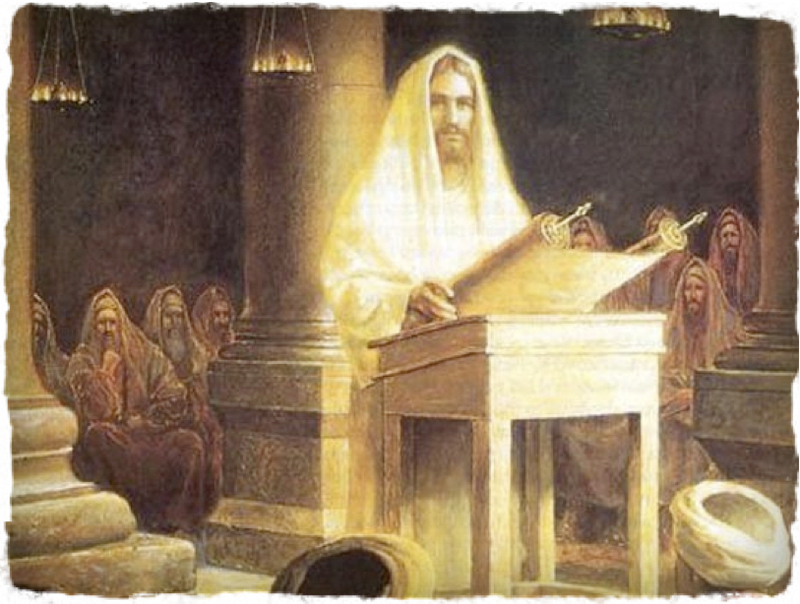 As a rabbi, Jesus has been invited to participate in the Sabbath service in the synagogue. The scene is far more dramatic than we can imagine when we place it within its cultural context. The synagogue attendant (more on that in a moment) has just brought the sacred scrolls into the room. Some are crying in reverence that the Word of God has come into their presence. Some are dancing with joy that God’s voice will be heard in the Text on this day. All eyes follow the scrolls as they are carried and intentionally placed in the middle of the synagogue to show their importance. The excitement grows as each person, young and old, anxiously waits to hear a Word from the Creator, the Almighty God who spoke then and still speaks today. On this Sabbath day, Jesus is one of the “Scripture readers” (as we call them today). I know you’ve heard it before, but stay with me for a moment. These assigned Sabbath readings were believed to have originally been put into order by Ezra and the scribes. 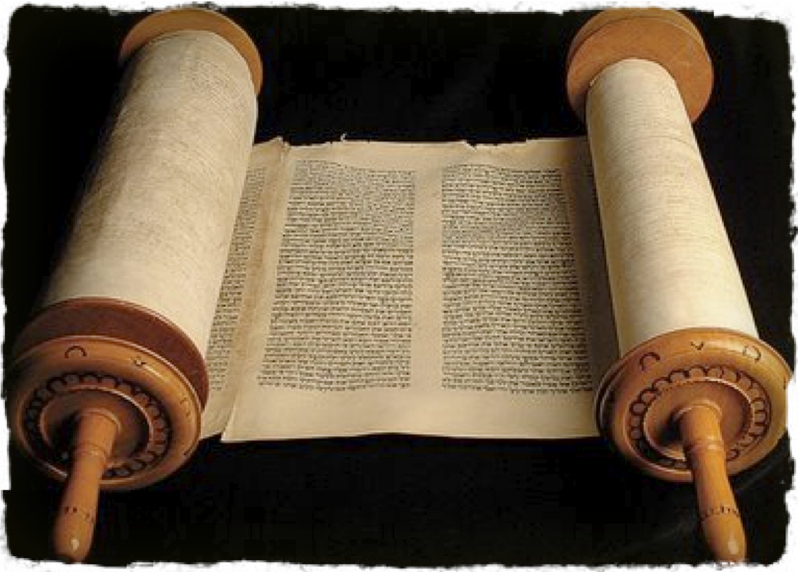 The Torah was broken down into 52 readings which equalled about 5 or 6 chapters per Sabbath. There was also a corresponding haftorah reading from the prophets that was assigned to accompany the Torah readings. To this day, Jews still follow this same Torah and Haftorah reading schedule on the Sabbath. So on this particular Sabbath in Luke 4, the Torah reading and the accompanying Haftorah reading have already been scheduled. The hazzan has selected rabbi Yeshua (Jesus) on this day to read the Haftorah and give the short dereshah (a short “sermon” telling how it can be applied). The Torah has been read by the selected reader. And now it is Jesus turn to stand. You ALWAYS stood to read from the Word of God. He is given the selected Haftorah reading which on this day was from the scroll of Isaiah. What a beautiful passage He has been given on this day. It is one of hope and freedom. As a rabbi Jesus does something that would have been permissible. He strings together a series of Texts from the scroll of Isaiah He has been handed. According to the reading schedule that is still in place today, the assigned reading appears to have been Isaiah 42:6-7. But Jesus weaves together this passage with Isa. 61:1-2 and Isa. 58:6. These are Messianic prophecies of hope about how a coming Messiah would declare a Jubilee with “the Spirit of the Lord.” The Jubilee was essentially about release, return, and renewal. Early on in Israel’s history (Leviticus 25) God had crafted a year of Jubilee for the Israelites. In the 50th year all prisoners were to be set free and land was to be returned to original owners. It was also a year of rest for the land as no crops were to be harvested in the 50th year. It may have been the shortest dereshah they’d ever heard. It was also the most unbelievable. Jesus sits down, hands the scroll back to the hazzan and offers 8 words that change everything. “Today… this Scripture…. is FULLFILLED in your hearing.” What has He just said? Right there in the midst of his hometown of Nazareth, Jesus has just declared that Jubilee is here…in the form of… HIMSELF! He is proclaiming Himself to be Messiah, the ONE who would proclaim Jubilee for Israel! He has come to “preach good news to the poor.” He has come to “proclaim freedom for the prisoners.” He has come to “give sight to the blind.” He has come to “release the oppressed.” He has come to proclaim God’s Jubilee!!!!! Most people think that at this part in the Story that the Jews in the synagogue are angry. They will become angry alright. But not yet. Luke shows us clearly that after Jesus declares Jubilee they “spoke well of him and were amazed at the gracious words that came from his lips.” (4:22) In fact, the “question” they ask next is more affirmative of this than we’ve typically read it. They ask, “Isn’t this Joseph’s son?” We should hear this as more of a declaration than a question. “This is our hometown boy! He’s the son of our very own Joseph! We’ve watched Him grow up right here in Nazareth. He’s one of ours!” The God who spoke then is now speaking to them in the present. It’s a whole additional aspect to this story that I won’t delve into much here but many people from Nazareth believed the Messiah would indeed come from their hometown. So they believed at first that Jesus WAS indeed that Messiah. Until he quickly shows them that his Messiahship is not exclusive to them. How quickly they turn on Him. They go from being ready to proclaim Him the Messiah to wanting to push him over a cliff to stone Him. If you follow what I’ve mentioned above there is something obvious missing in Luke 4 that I can’t believe I’ve never thought to look up! And I must give credit to one of my students for asking. So what is it that do we NOT have in the Story that might give additional insight? The Torah reading for that Sabbath day! I excitedly reverse-traced it by looking through all the Torah readings to see which one of them connected to the passages that Jesus read aloud from the Isaiah scroll. I had a feeling this might give us even more depth to what Jesus was showing His audience in the synagogue that day. And what I found stunned me! While there wasn’t a reading that accompanied Isa. 61:1-2, the Torah reading that accompanies Isa. 42:6-7 was…Genesis 1:1-6:8! Why is that such a big deal? This reading of course contains the story of Creation. But what’s WITHIN the Story of Creation? The first Sabbath! On the seventh day, God rested. Now look back with me at Jesus’ usage of the three Isaiah passages in Luke 4. Jesus is not only declaring the Jubilee He’s showing us, like at His baptism when the Spirit also comes down and “hovers over Him,” that what He has come to offer the world is a NEW creation! And what is the seventh phrase Jesus uses? “To proclaim the year of the Lord’s favor.” It’s a parallel to the seventh day of Creation when God “rests” and enjoys His creation. This is truly “life between the trees!” Jesus has come to restore Garden living by making “all things new.” He has come to declare the Jubilee against the curse placed upon the world by Satan. He has come to restore what God started with “in the beginning.” Those seven phrases from Isaiah declare that mission. And it was a mission that started in the Garden. God recreating, through Jesus, a new and restored way of life. Jubilee in the beginning. Jubilee through Jesus. And Jubilee for disciples today. The next time the Word of God is read aloud, tune in and then dig deep. He might be saying more than meets the ear. Could you please let me know where I can obtain a copy of the picture of Jesus in the synagogue – poster size or larger? There is additional information which seems to indicate that the synagogue reading schedule in the early first century was based on a three (and one half?) year cycle that is quite different from the one year cycle currently practiced. The three year cycle has the reading of Isaiah 61:1-2 together with Deuteronomy 15:7-17:13. I’m a hazzan! Who knew? This is an awesome reading and I will say that I would never have known this if you had not looked it up and shared it. Thank you for that and please keep blogging cannot wait for the next reading.